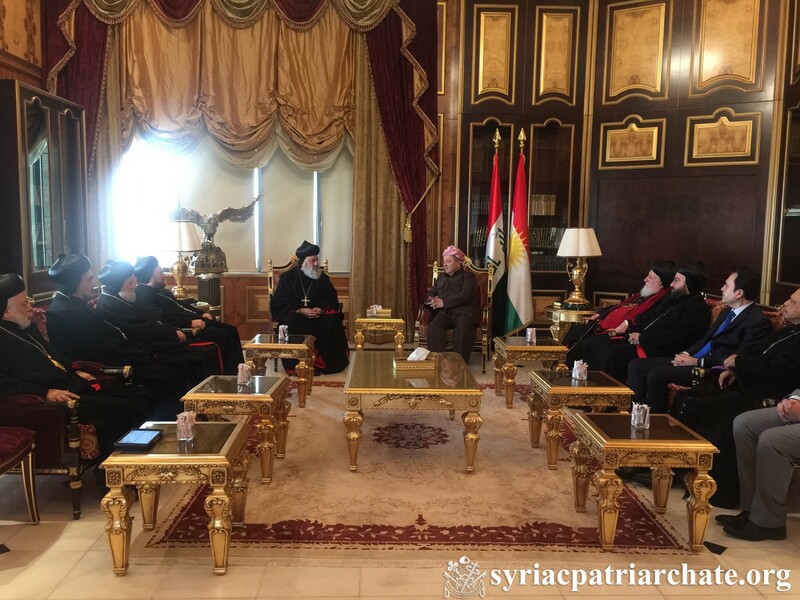 On January 25, 2019, His Holiness Patriarch Mor Ignatius Aphrem II met with His Excellency Masoud Barzani, President of Iraqi Kurdistan. His Excellency President Barzani welcomed His Holiness. 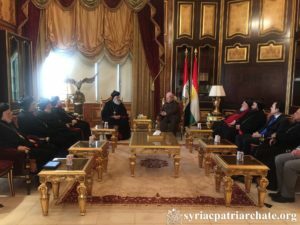 His Holiness thanked His Excellency and the Regional Government for the help and facilitation they provide to Iraqi Christians in Erbil and in Iraqi Kurdistan. They also spoke about the inauguration of the Archdiocesan Residence and the role it’ll play in encouraging Christians to stay in the lands of the forefathers.